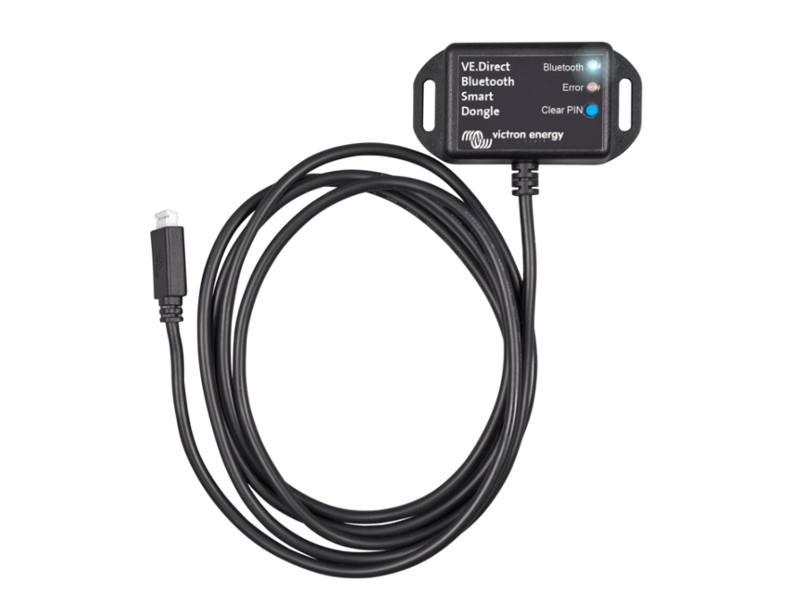 The Victron VE.Direct to Bluetooth Smart Dongle allows you to you display information about your BMV battery monitor, Bluesolar MPPT charge controller, VE.Direct Phoenix Inverter (and other Victron products) on iOS and Android devices, using the VictronConnect App. 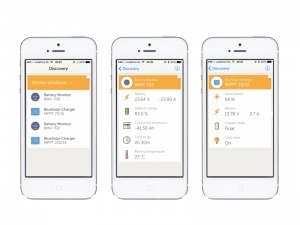 View information wirelessly such as battery status and solar panel power, plus other useful data. This Dongle uses Bluetooth Low Energy, which is a technology for the Internet of Things (IoT), and can be connected to all Victron products that have a built-in VE.Direct port. For a full list see the VictronConnect App manual. Arrived on time, very clear instructions to install and set up. Started following biding battery problems straight away and saved a 6amp drain! !